More people listening to digital radio | What Hi-Fi? The audience research body also says that 50 per cent of all national commercial radio listening is now via digital platforms. And more than a third of the population – 18.2 million adults – say they live in a household with a DAB receiver. Ford Ennals, chief executive of Digital Radio UK, says: "With the launch of Smooth on digital radio, the launch of Radioplayer and significant increases in the number of new cars with digital radio as standard, we look forward to sustained digital growth in the second half of 2010." 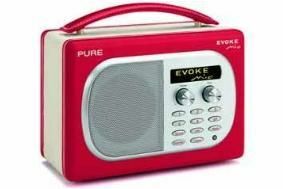 The coalition Government is committed to digital radio switchover, but says the move will not happen until at least half of all listening is done by digital sources – DAB radios or via the internet. Culture Minister, Ed Vaizey says the Government will work towards switchover in 2015, "but we're not set on that date".